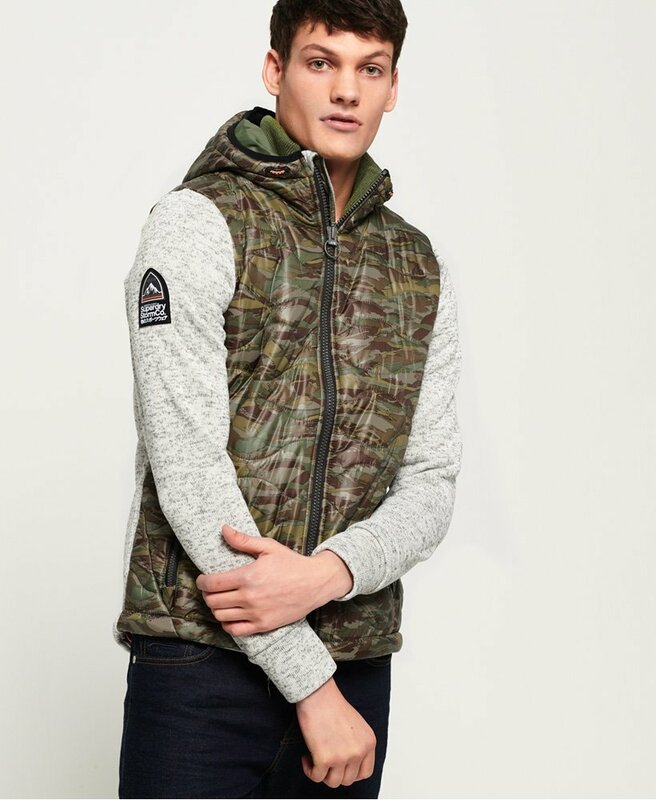 Superdry men's Storm Wave quilt hybrid zip hoodie. This hybrid zip hoodie features a quilted front and adjustable hood, two front zip fastened pockets and a main zip fastening. This hoodie also features an embroidered Superdry logo on the placket and back, thumbholes in the cuffs and an adjustable hem. Finished with a Superdry Mountain patch on the sleeve.